Our very favorite nourishing herb. 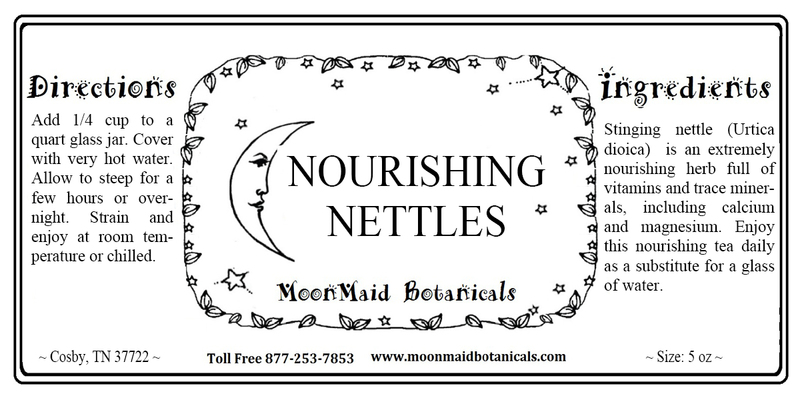 Stinging nettles are rich in vitamins and trace minerals, including calcium and magnesium. This is a great way to support your tired adrenal glands! Better if consumed on an empty stomach. If you are going to drink water, and I hope you do, you might as well drink an herbal infusion. This Nettle tea does wonders for hair growth and anemia. I have been iron deficient my whole life and most iron pills make me sick. 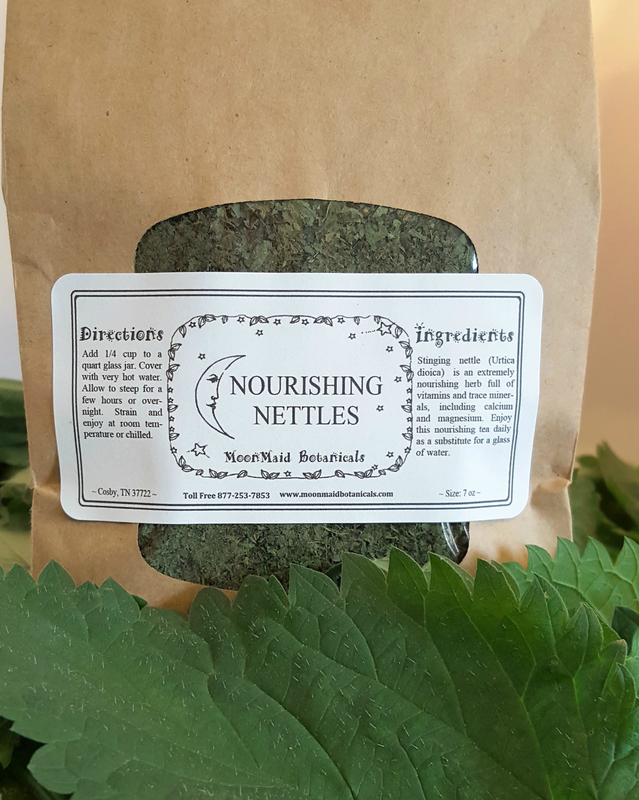 The natural iron in nettles is amazing and I’m never cold when I drink a cup of this every day ! My hair is also finally growing from this and getting thicker and shinier . Thank you Moonmaid for providing this tea ! Best nettle tea I have found. I love this and the mega mineral tea have changed my life. Thank you so much for making these! I was given a sample of this to try and it's wonderful.